I ‘we been dying to wear my new Gibson shoes and to give them a real try out – and not just for an hour while photographing. I had planed to wear them att the Titanic Exhibition in July, but had to settle for an old pair of dancing shoes though to terrible blisters. But then I finaly found the perfect exuse for wearing them: Two of our friends where getting married. So on the 21 of July me and my boyfriend dressed up and went to the wedding cermony, which was being held outdoor by the wather. The weather was perfect and the bride and grom was looking wery beautiful and happy. Since I only one week before managded to twist my ankle while running, I choose to wear my sneakers for the 3 km forest walk to the wedding location. But changed my footwear as soon as we arriwed at the reception party. 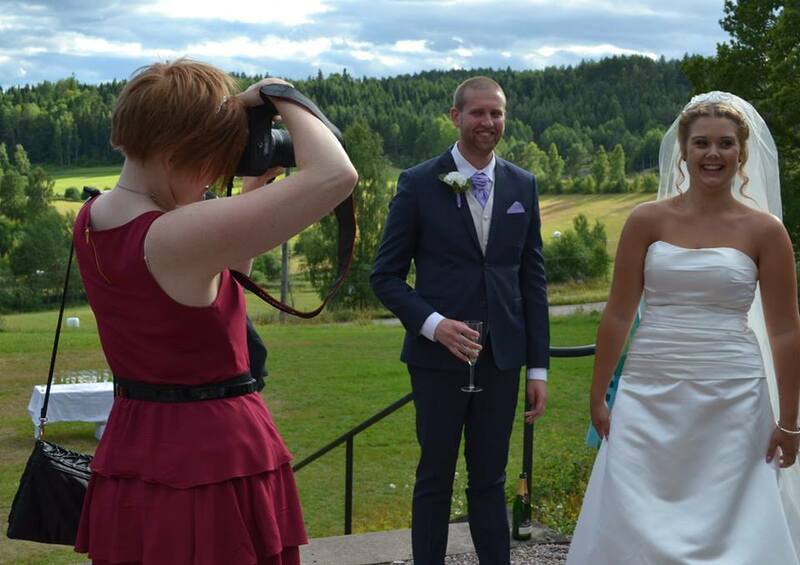 Sadly, since I was photographing the whole wedding and forgot to ask someone for a picture of me, I only have one pic where I hapened to be in the shoot. And finaly some pictures of the beautiful couple. The bride arrived in a carage. All the bridesmaids, bestmans, flowergirls and the bride. Guests toasting the newley weds. My favourite photo of the bunch. And now I REALLY want the Gibson shoes!! !